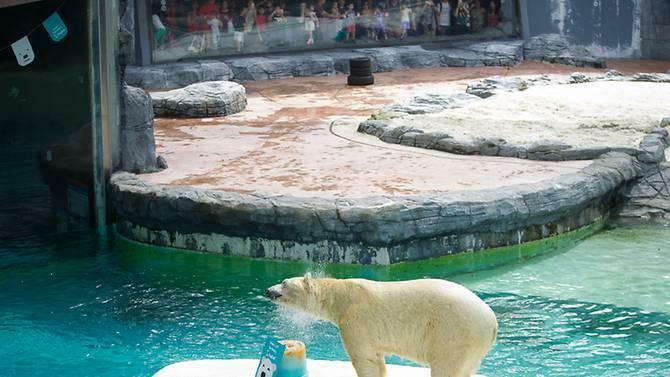 The first polar bear of tropical island city Singapore named Inuka was proclaimed dead after battling with health issues since five years. 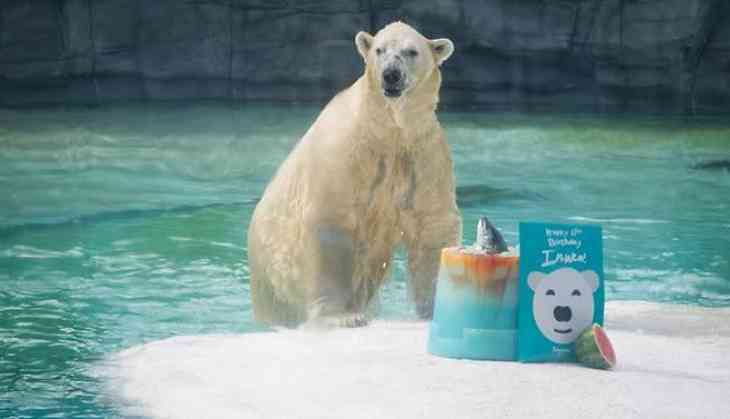 Inuka was 27 years which is considered as the grand old age of polar bear. He was considered to have lived almost two years more than the average lifespan of a polar bear in captivity. He was born in a zoo in Singapore and was very popular amongst the visitors for his playful antics. He was suffering from age-related ailments which included arthritis. Limbs supporting his body had weakened to large extent and had developed cuts in his paws. Vets confirmed that there were would on his abdomen. 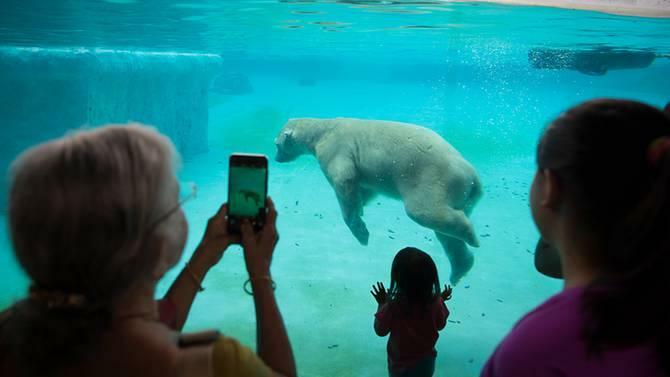 Dr Cheng, the vet who was treating Inuka said, " He was the last polar bear to be kept in the Singapore Zoo for a "long, long time,"
He also added that to keep another bear in captivity an artificial environment had to be created. He even shared that the decision to not bring any more polar bear was taken a decade back. While his death the bear weighed 513kg and measures 2.5m. Last year December he was given a cake in a birthday present. The cake was prepared after keeping his age factor in mind. It was low sugar and high protein and fat cake.